There are a number of ministry opportunities that will lovingly draw you in to the LPI family of counselors, staff and leadership. We also have a number of Summer Camp sessions that serve a variety of campers. 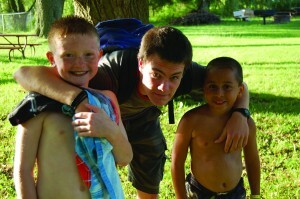 At each camp, there are abundant camp activities for all to participate in. Before hiring, all staff – both returning and first timers – should complete an application. All Applicants should submit 4 recommendation forms completed by previous employers, teachers, coaches, pastors, church or acquaintances (no relatives please). A position brief is available to inform the referee of the positions you are applying for. Be sure to include a position brief with each recommendation form. You should also review the summer schedule and the list of available positions. If you have any problems finding or filling out these forms, please contact us.